Whether it be the fairytale or romantic stigma that often surrounds princess characters, or the strength that these Damsels exude after overcoming various different hardships, children—especially girls—are drawn to stories about princesses. Heck, even I love a good “Prince Charming” story every once in a while. However, when looking for a book with some royal flare, it’s easy to fall to the stories we know so well: Cinderella, Sleeping Beauty, Snow White, and The Little Mermaid—which, while we’re at it, are considered by many as a right-of-passage for any young girl. Light and airy and deliciously entertaining. 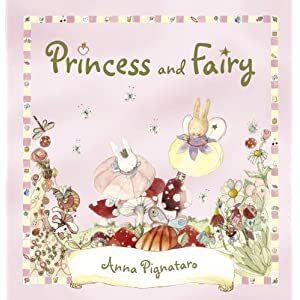 From an intricate envelope that opens to reveal a mini sized invitation from the Queen, to a list of presents that Princess and Fairy must look for and find in the pages of delightfully fancy illustrations, readers are captivated to the very end. First of all, Marion Dane Bauer is a Newbery Honor-winning author. Second of all, this book reads like a book you’ve read over-and-over, even from the very first time you pick it up. The over-all story is one of loss—Zoe, a 10-year-old, visits her grandmother for the first time and discovers that her mother is leaving her to live there indefinitely—however, Bauer has intertwined a magical story of friendship between Zoe and a “princess” doll who comes to life, softening the loss and highlighting the importance of family. What to expect: Princesses galore! Holy princess! The illustrations in this book are so rich and mind-absorbing! This is a book for sophisticated princess-lovers—and those that enjoy individualism. 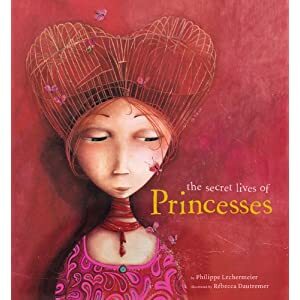 From the less familiar to the unknown, The Secret Lives of Princesses offers a refreshing perspective on royal life. A beautiful book and a delectable read. Giveaway: Enter to win a copy! Time travel, history, romance, and a whole lot of independence that leads to a wonderful journey of self-discovery. Leave us a comment: What is your favorite princess book with a twist?